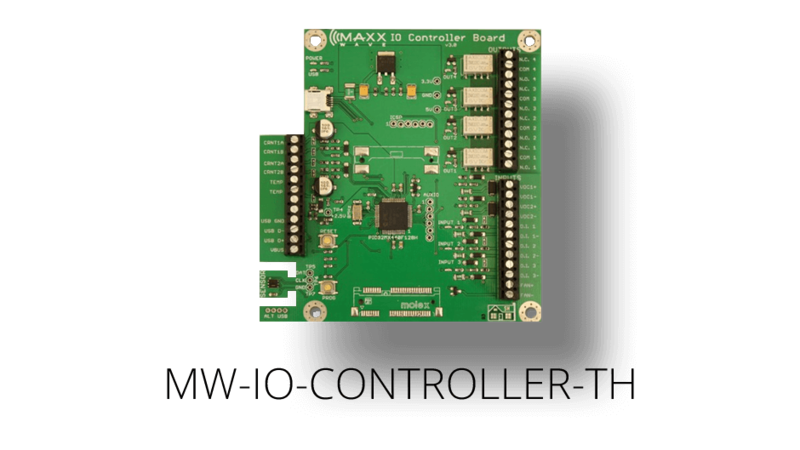 When you’re looking for a general purpose Input / Output control board that needs to be well connected to the outside world, look no further than the Maxxwave IO Control Board. We built this board from the ground up to work in a variety of M2M applications, such as security, energy management, solar battery monitoring, industrial automation, and remote management. Our layered approach gives you the most flexibility to providing endpoint management of devices. The entire board is host powered by 5V USB. An optional outdoor enclosure is available for use in harsh environments. Our board works by emulating a serial port over USB and allows you to write applications to our standards “AT” style command structure. By doing so, you can monitor battery voltage of a remote site, check remote equipment alarm conditions and even check how much current you’re drawing in real time from an AC panel. It can also check to see if a door is open or control a gate. The possibilities are limitless. It also has the ability to monitor the temperature and humidity of a room or outdoor environment.